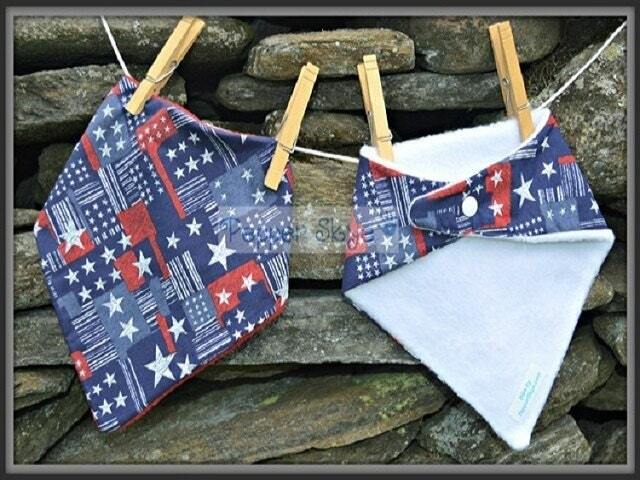 This bib is called July 4th. The red, white & blue make it patriotic, but it's classic look makes it good for any time of the year. Backed in your choice of white(3) or red(5) fleece with a matching plastic snap.